Black pepper is more than just a spice that will give dishes that extra kick. It actually goes a long way when it comes to boosting our health. Pre-ground peppers are not as good as freshly-ground pepper because they go through a process called oxidation. Once the ground peppers are exposed to oxygen, they tend to lose their intrinsic health properties, just like many other ingredients. This is why if you want to take advantage of the full benefits of black pepper, you should definitely have the best pepper mill at home. A nice-looking and fancy pepper mill also makes for a good conversation starter. Thankfully, there are a lot of finely-crafted pepper mills out there that truly deliver on functionality and style. We checked out all the pepper mills out there and found the ones that not just look great but also deliver in quality. Find out below what our recommendations are. Which Pepper Mill Should You Get? Since salt and pepper are the fundamental seasoning ingredients for any dish, you should make an effort to enhance the way you season a meal. One way to do so is by getting a nice mill or grinder. In the old days, people used to crack pepper with the use of a mortar and pestle. The mortar and pestle is an effective kitchen tool for grinding all sorts of ingredients into powder like pieces, but it is neither easy nor quick to use. If you are a cook that frequently grinds up whole peppercorns just to season a dish, I’m sure it takes you at least a minute to make a pinch of perfectly powdered pepper. But with a fine pepper ﻿﻿mill, you will be able to create coarse or finely ground pepper in mere seconds with significantly less effort. There are three types of pepper mills that you can use today, the first one comes with a knob that you can turn to produce fine to coarse grinds. These types usually come with a smaller metal knob, placed on top of the knob you have to twist, that you can use to adjust the coarseness settings. The second type you will find is one that comes with a crank. These types are easier on the joints, since you would only have to turn the crank to produce both fine and coarse grinds. The last kind you will find is the easiest to use. Electric pepper mills will allow you to effortlessly create powder-like and large coarse grinds with a simple push of a button. 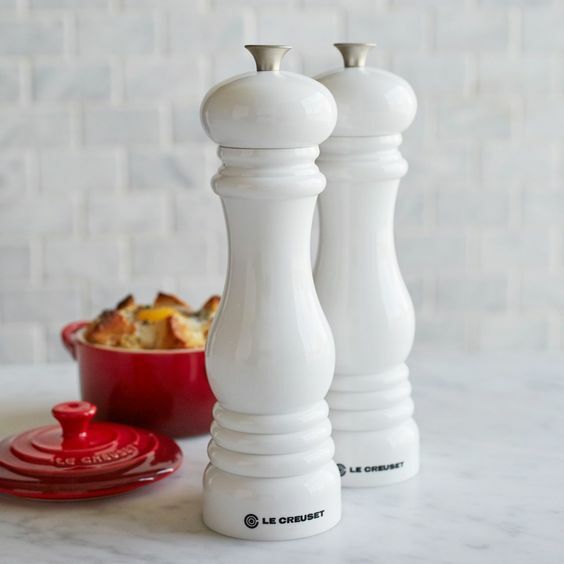 Though a pepper mill is a pretty simple cooking tool, there are a couple of features that you should look out for before you make a purchase. Being mindful of these following features will ensure that the product you get will fit your personal preferences and cooking needs. 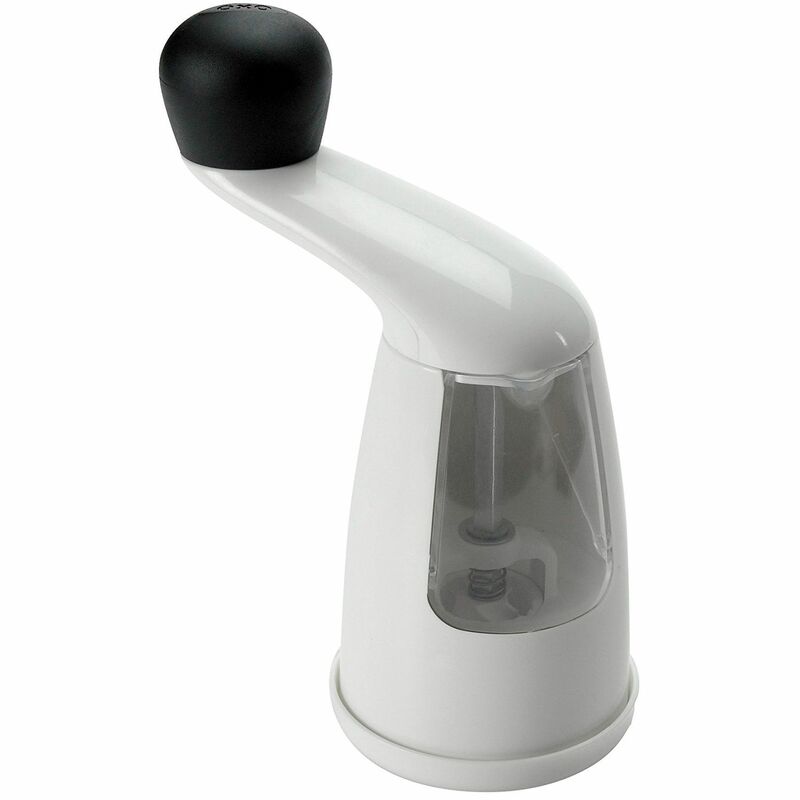 The grinding mechanism that comes with a pepper mill may vary depending on the mill’s price. 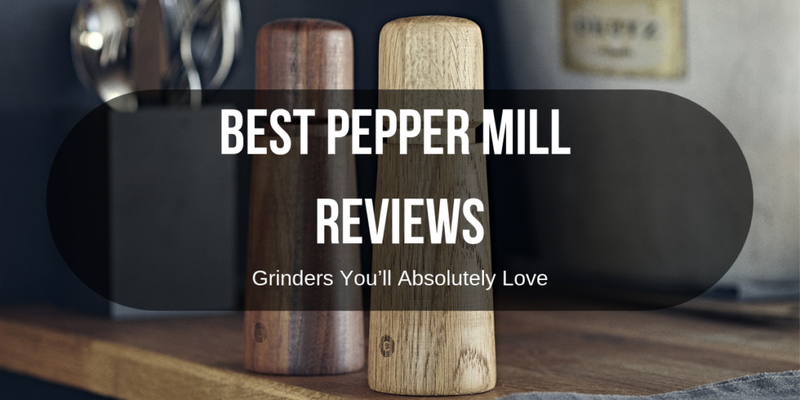 The three types of grinding mechanisms you will find on a pepper mill is Acrylic (comes with cheap mills), high-carbon steel, and ceramic ones. Try to choose a pepper mill that comes with a nice steel grinding mechanism. Steel grinding mechanisms not only last longer, but can provide you with consistent grinds. Though most pepper mills come with adjustable coarseness knobs, not all offers multiple and steady settings. For example, some mills may come with a small knob that you can loosen or tighten to adjust the coarseness of your grind. However, such mills with knob adjusters tend to provide less consistent grinds because the knob can loosen as you grind the pepper. Pepper mills with specific coarseness settings such on the other hand can provide you with steady grinds, but with fewer levels of coarseness. Try to choose a pepper mill that comes with at least four coarseness settings to get multiple coarseness levels and steady grinds. Manual pepper mills can either come with a twisting knob or a crank. 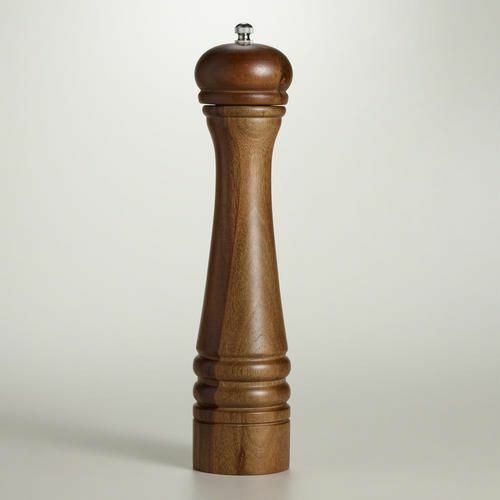 I personally recommend going with a pepper mill that comes with a twisting knob because it requires less workspace. However, if you aren’t comfortable with performing twisting motions with your hand, you might be better off with one that comes with a crank since it is easier on the wrists. 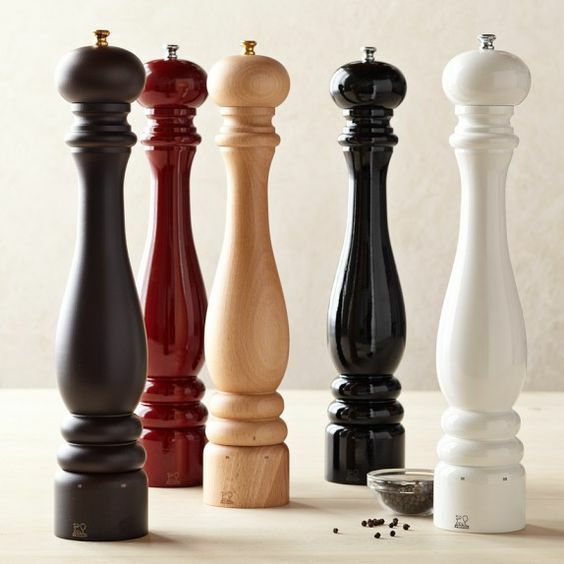 You will find pepper mills in an assortment of sizes from small 3-inch ones up to large 15-inch ones. The size of the pepper mill you should choose would of course depend on how much pepper you actually use. If you are just cooking at home, you can do just fine with a small to medium sized mill. 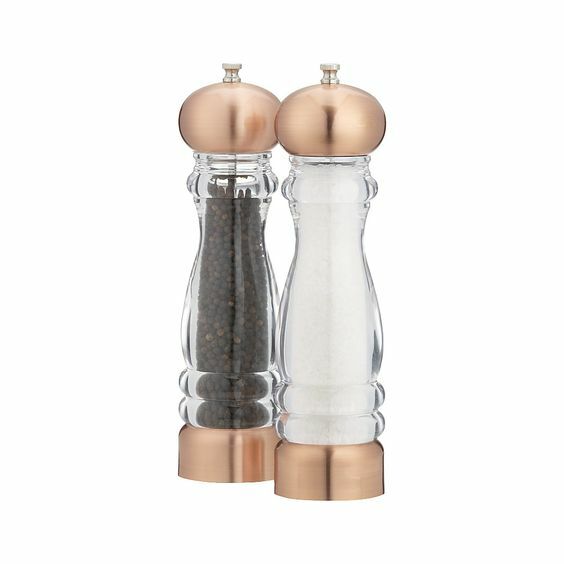 Pepper mills come in several forms. In today’s market, you will find mills made out of plastic, wood, steel, glass, and even copper﻿﻿. If you are looking for something that is built to last, I suggest going with a pepper mill made out of metal materials. If you plan to use your pepper mill to make grinds in bulk, I recommend you get a nice electric one for both efficiency and ease of use. However, do keep in mind that electric pepper mills will not only come with a heftier price tag, but will also cost more to use since it requires batteries. This list includes five of the best pepper mills you will be able to buy online today. These pepper mills vary in price, material, capacity, and features. So whatever your personal preference or cooking needs may be, I’m hopeful that by the end of this article, you will have come to a sound decision on which pepper mill you should get for your kitchen. Do you have a modern or industrial-style kitchen? You will like this one. It has a stainless-steel finish that works in modern kitchen settings. The peppercorns are showcases through its see-through container. It comes with 6 different grinding levels, so you can get the coarseness or the fineness that you prefer in your pepper. The top is easy to turn for more seamless grinding. The peppercorn receptacle keeps everything inside fresh. It also protects your peppercorns from oxidation, dust and moisture. Once you have used up everything, simply refill it. What makes this mill different from others is that it doesn’t crush the peppercorns but rather goes through it layer by layer, effectively releasing all the flavorful compounds inside. Mess-proof. It doesn’t spill anything after you are done using it. Some said the quantity it produces isn’t that much. This pepper mill is 8 inches tall and 2 inches wide – just right for your hands and for taking up a small footprint on your countertop. It is very easy to use given that this is electronically operated. Just tilt it and it will automatically activate its grinding mechanism. You can tell it is working when the blue LED light turns on. It comes with coarseness adjustable settings as well. There is a grinder knob that you can adjust to get the fineness of pepper you prefer. The large storage capacity is ideal for heavy cooking needs. It keeps peppercorns sealed inside and maintains their freshness. The chamber is big enough for easy refilling and cleaning. It is also not predisposed to breaking. Some said the adjustable setting is not as seamless as they would have preferred. 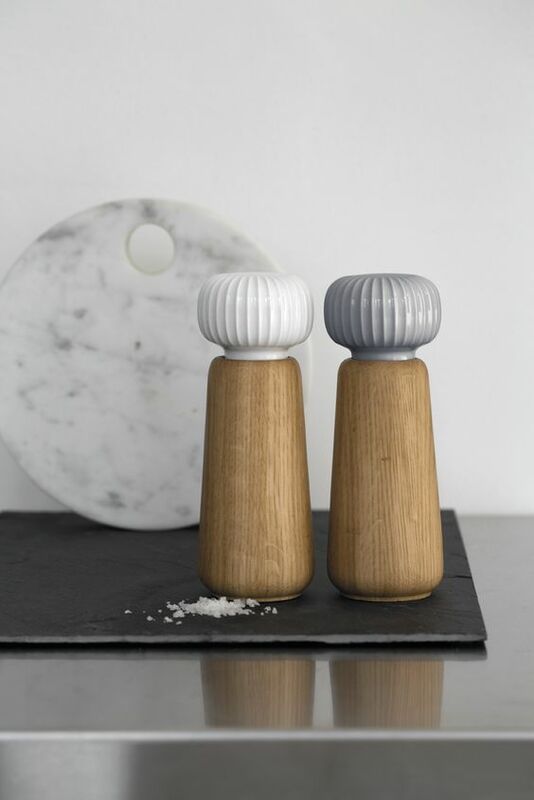 Are you a fan of classic pepper mills? Get this one then. Peugeot is a household name when it comes to easy-to-use mills. This one is not an exception. It does its work in freshly grinding peppercorns. It boasts of individually-cut helix grooves and grinding mechanism that makes way for a two-stage grinding system. They have been crafted in such a way that they are resistant to damages. The two-step grinding process starts by cracking the pepper first and then grinding the insides to the right level of coarseness. It then effectively releases the oils from the pepper. You can choose from 6 different levels of coarseness. Easy to keep clean. Just wipe it with a cloth and you are good to go. 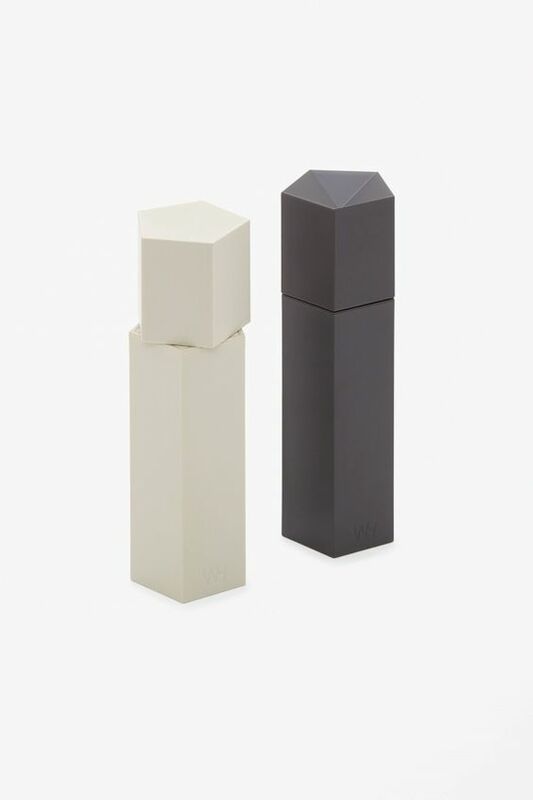 This unique-looking pepper mill is an instant conversation-starter. It has a long arm that you use to easily grind the peppercorns inside. Boasting of a ceramic mechanism, this tool will surely deliver fresh peppery flavors to your dishes. There is a clear door to easily check if you need to refill. It can hold a good amount of pepper. The door for the pepper compartment opens easily for easier refilling. Some said filling it is hard. You also need to leave some more space or the door will not be able to close. This pepper mill is a workhorse, thanks to its steel mechanism that does a great job in grinding pepper fast. It comes with a nicely-sized pepper chamber and a substantial opening that makes loading of pepper easier. You can easily adjust the grind size to fit your preferences. This is obviously well-made. From its case to the internal mechanism, it’s hard not to be impressed. Don’t worry because there is an adjustable setting that ensures you can also control how much pepper to add to your food. It is quite easy to fill. You won’t have a problem setting the coarseness as well. It has a nice chamber size that can hold more pepper. 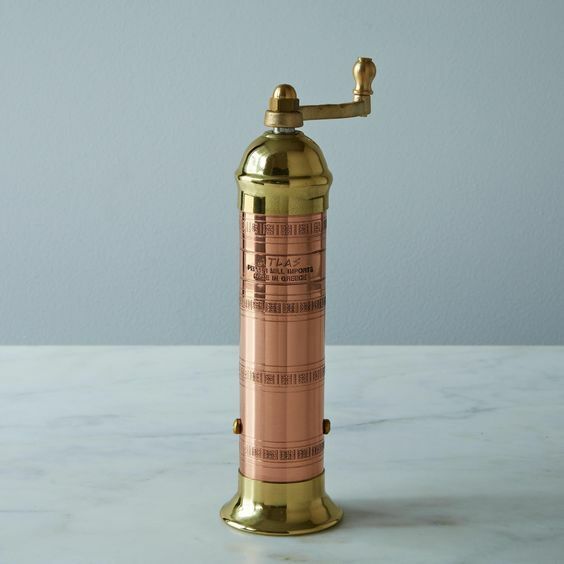 Great for People With Hand Issues: Cole & Mason Derwent Pepper Grinder. Are you looking for a pepper mill that isn’t difficult to turn, especially if you have hand issues like arthritis? This one is the perfect choice because of how effortlessly it turns. You can adjust the coarseness or fineness level as well without exerting too much hand effort. 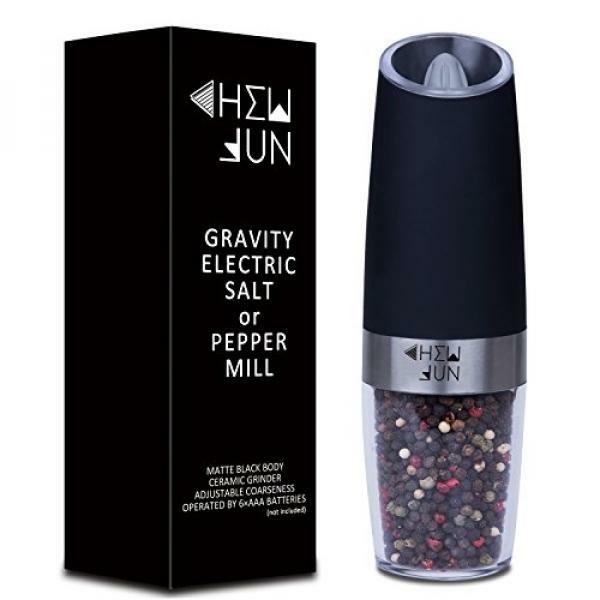 Convenient Electric Operations: Chew Fun Gravity Electric Pepper Grinder. If you have been looking for an electric pepper mill that truly does its work and doesn’t jam or break easily, this is your best option. It’s easy to use. You can just use one hand to freshly grind pepper over your food. 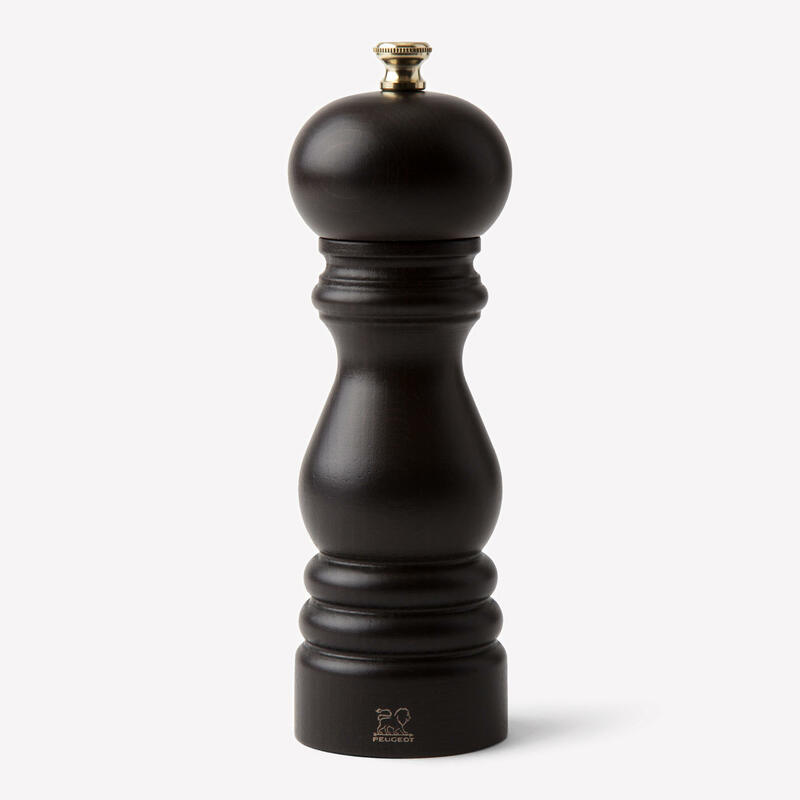 Traditional Choice: Peugeot 23485 Paris u’Select 9-inch Pepper Mill. 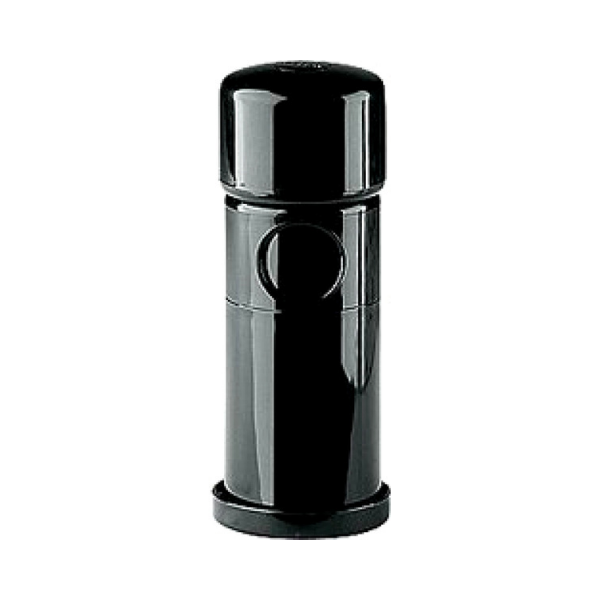 Stick with this pepper mill if you are looking for something a bit more traditional. It has a reliable 2-way mechanism that works in releasing the oils in the peppercorns. Budget-Friendly: OXO Good Grips Lewis Pepper Mill. 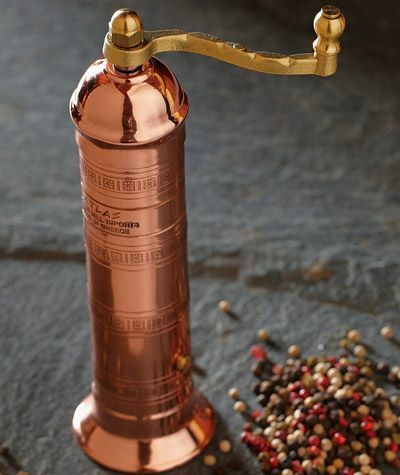 This is the pepper mill to get if you are looking for one that will not break the bank. It definitely lasts for a long time even though it is a cheaper alternative. Value for Your Money: Unicorn Magnum Pepper Mill. Don’t be put off by the hefty price of this pepper mill because it is one of the best you can get when it comes to output and functionality. It delivers a load of pepper and you can easily set its coarseness level, too. It’s a great investment for those who are looking for a long-term pepper mill. Some pepper mills might not work effectively in delivering a high output of pepper. If you like adding more pepper, make sure you choose those that don’t skimp on pepper output. Is it easy to twist or hold? You don’t want to grapple with the tool when cooking. Make sure the turning mechanism works easily and that you don’t have to worry about exerting too much effort. What is the capacity of the pepper chamber? Can you load a lot of pepper in it? Also make sure the chamber keeps the pepper fresh for a long time. You wouldn’t want to be inconvenienced by a broken pepper mill. You also don’t want the pepper mill to accidentally break and leave behind pieces of plastic all over your food. Make sure it has a durable exterior and that the interior mechanism used to grind pepper will last for a long time. 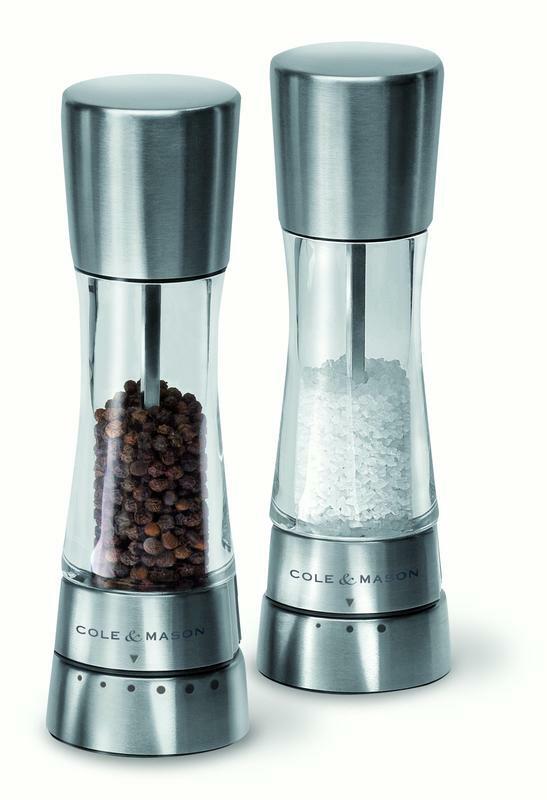 It's been difficult to decide on just one product to be the best pepper mill, but after much thought we've decided on the Cole & Mason Derwent pepper grinder for its classic look, great performance and durability. Check out our homepage to learn more about different kitchen tools that you can rely on for your various cooking needs. Use our buying guides and product reviews to help you find the right cooking tools.